Someone I love is turning 5 this weekend and she is very excited! This is her first year at a school that does birthday treats, but we decided to do something a little different than your usual cupcake treat. 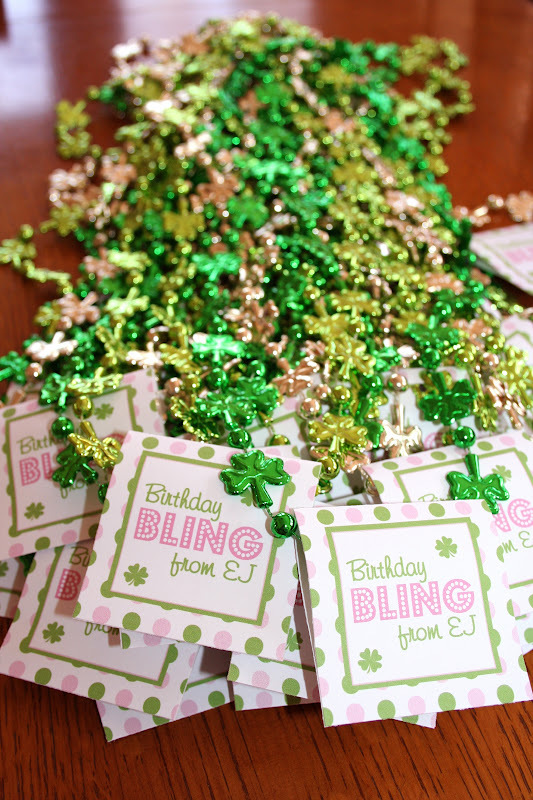 Each of EJ's friends will be getting a shiny shamrock necklace with a gorgeous tag, designed by our fabulous friend Nellie (check out her blog and shop and free printables too). Happiest of birthday wishes to EJ! 5! Wow! 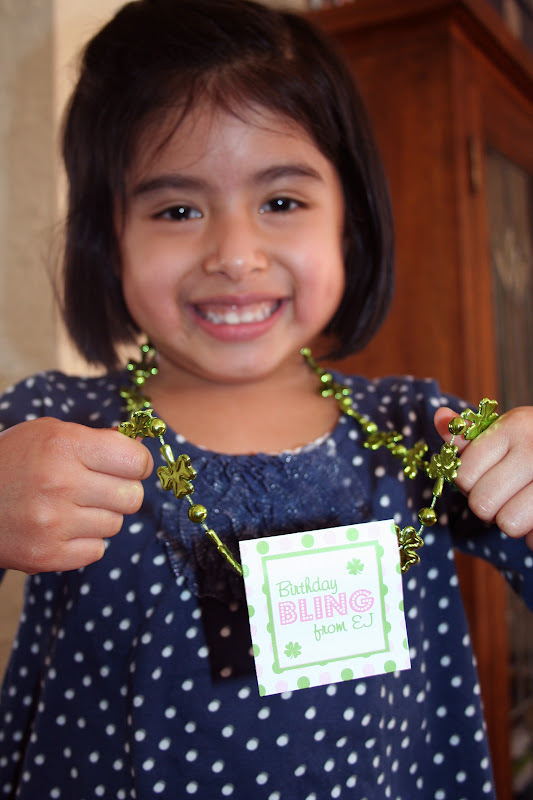 Love the necklace idea and I am sure other parents will appreciate it as well. How cute! A perfect birthday treat. Wishing EJ a very happy birthday! I love them! Too cute! happy birthday EJ!!! 5 is so much fun!!! !